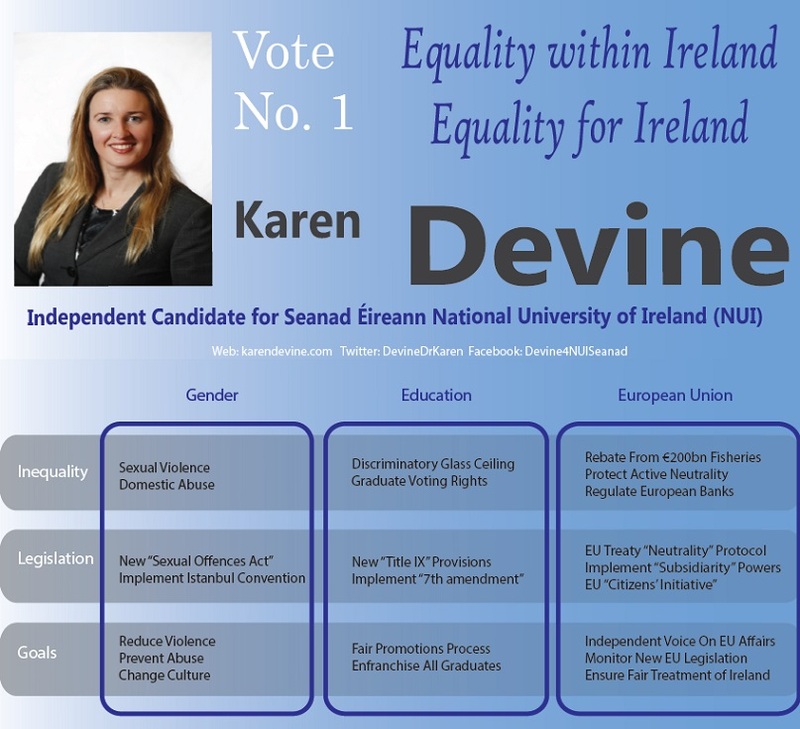 A leaflet from Karen Devine who is running for the Seanad on the NUI panel. 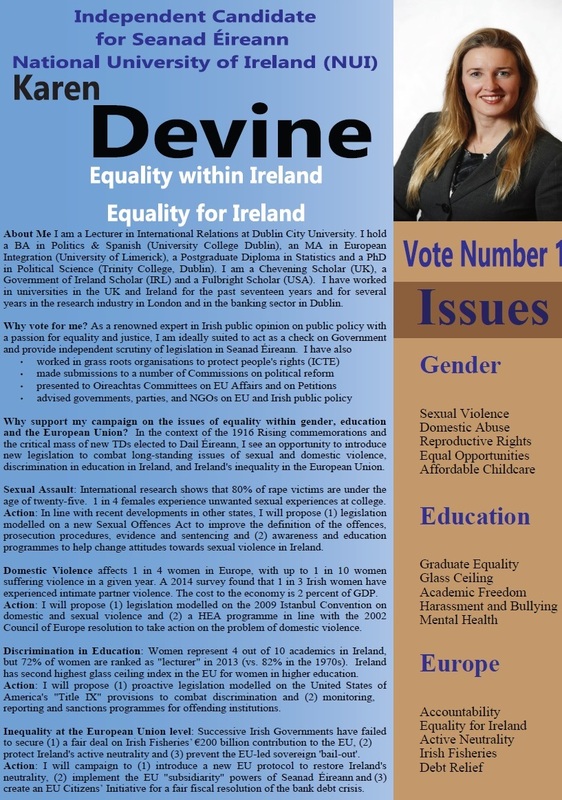 How long does it take us to implement the Istanbul Convention in Eire? Our Irish courts judges and supposed legally trained solicit- ors break the Human rights law re Art 6 every single day even though they were made aware. We still use maritime law- women as vessels. All women are still seen in law as feeble minded in courts and female victims mostly end up with CPTSD – aka- legal abuse syndrome.